I have finally decided it’s time to get my home office up and running, al-ri-ght, maybe I got a little push from the hubby to-be who is tired of looking at our empty computer room. Anyway, I’m slowly gearing up for this next project. 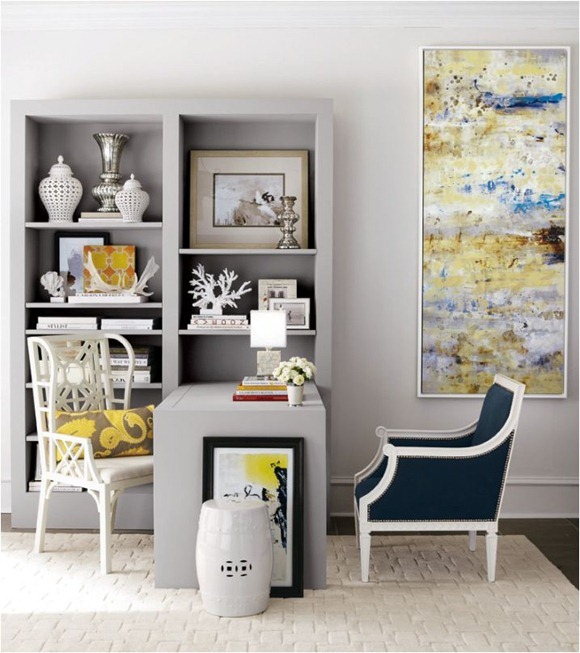 To get me on track, I have searched the web and have complied some of my fav home office looks. The key components to my look are soft colours, clean lines, textures and of course, something ultra feminine. I am on the mission to create a creative work space that is both inspiring and most importantly, a place I love to be in! 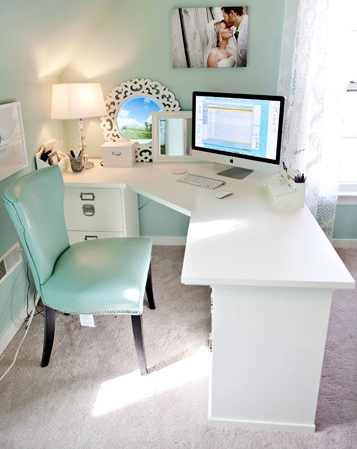 Where can i find the desk ser-up Simply Kelly Designs? I want one!